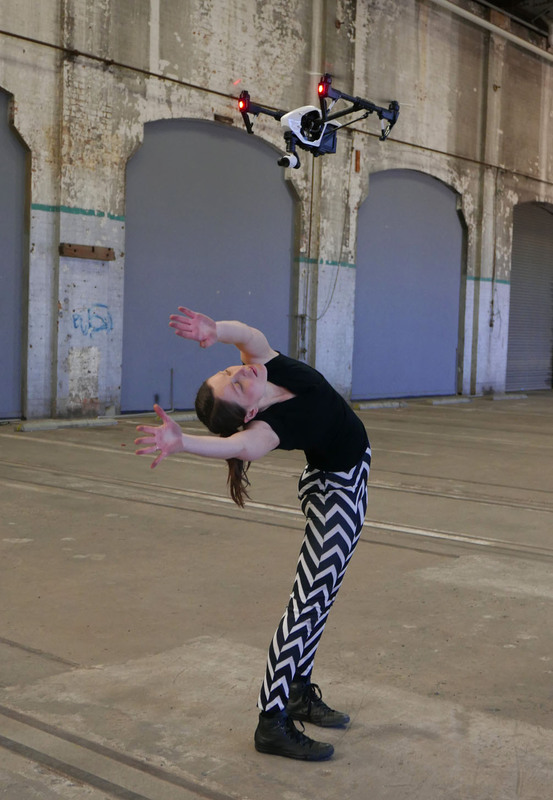 Josephine Starrs & Leon Cmielewski, with dancer Alison Plevey Dancing with Drones, 2015. Photo courtesy the artists. The idea of a hunting ground can send a chill down the spine, a primitive touchstone to animalistic rites and dark nature. Popular franchises like The Hunger Games seem to tap into deep longing for rituals reactivating psyches dormant for centuries. Within the artificial construct of an adrenaline arena, humans fight or take flight. 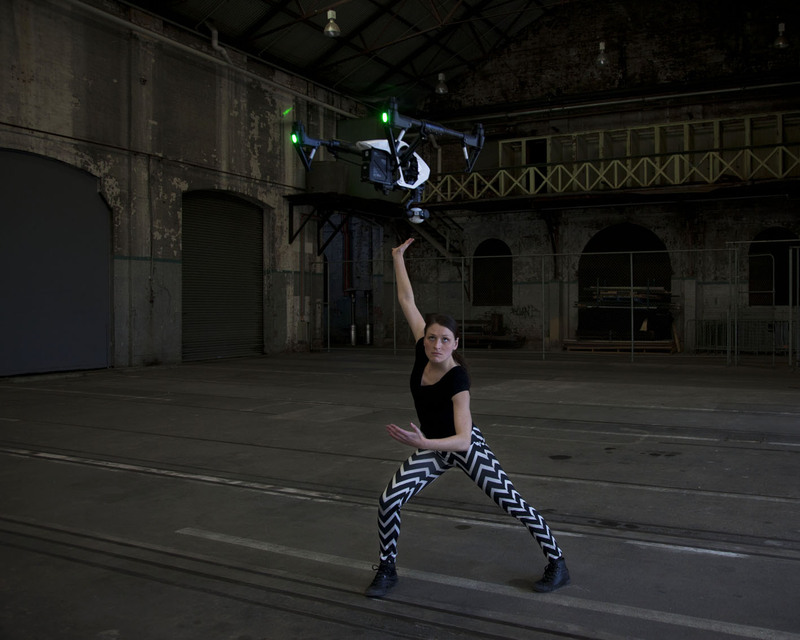 Something of this sensibility plays out in Dancing with Drones, a dance-technology collaboration between dancer Alison Plevey and artists Josephine Starrs and Leon Cmielewski, in which, in cinematic widescreen, human movement is partnered with that of a drone, the favoured technology of the current war machine. Of drone warfare, Gregoire Chamayou has written the world is a ‘hunting ground.’ ‘The target is unable to retaliate, no quarter can be given in last-minute surrender, and only one side risks being killed’. Chamayou is writing of the extreme circumstance of war, but in many respects, Plevey in her dance-off with the drone, is hunted, a contemporary Acteon, who in Greek myth was hunted by a pack of dogs intent on tearing him to pieces. Plevey comes across as the innocent, occupying a subject position that could be occupied by anyone. While there is a charm to the mimetic sequences and to the innocence of the initial scenes of ‘playing chasey’ with the drone, the dance-game is also akin to those more vicious games of children that quickly turn. Filmed in big nature, down by a river in the wilds of Bundanon estate, the dancer-drone partnership is intriguing, somewhat bizarre, an unlikely dance duo, initially suggesting disturbed bucolic innocence. Two regimes of movement seemingly accommodate each other: the curious drone, the responsive human. There’s a mixture of charm and mild annoyance; the drone hobby toy friendly in size, rising and falling in sequences akin to the flapping of a butterfly’s wings, no more a menace than the buzzing of a gnat or a bee. As the dance progresses the emotional register shifts: pleasure, annoyance, charm, resistance, and eventually submissive acceptance. The disturbing note is that the drone is an invasive species, a technologized interface with nature, intruding into the peaceful ecology with a movement regime that progressively subjugates the human. Given its range of movement, from hovering physical intimacy to the dramatic shifts of its vertical climbs, the drone is an unequal dance partner, an undefeatable adversary. What the dance sequence makes clear is that no matter how brilliant her dance, no matter how fluid, graceful and subtle her human body movements, she will be no match for the superior movements of a drone piloted at a distance by an unseen program or programmer. The performance recalls the classic Hollywood era of dance, and the way that dancers challenged, blocked, and even seemed to herd each other, for example Fred Astaire playing domineering sheepdog to a tentative Ginger Rogers. However, classic Hollywood also created dance-offs with technology: pre-filmed ‘trick’ versions of dancers dancing with their own shadows or mirror versions of themselves. In these films the ‘live’ lone dancer typically plays a melancholy role: in Cover Girl (1944) a lovelorn Gene Kelly has his spirits temporarily lifted through a dance duet with an idealized altar-ego of himself. However, this performance, like other dance-offs with technology-created illusions of oneself, ultimately strikes a defeatist note, in contrast to the more equal combat of the dancer versus dancer contests, no matter how unlikely, for example comedian Bob Hope versus tough guy gangster James Cagney (The Seven Little Foys, 1955). Whether it’s Bollywood substituting dance for sexual combat, or two styles of Hollywood dance facing off through tap, the face-to-face of the human-to-human secures a sense of ethics, and the fair combat of the old adage ‘all is fair in love and war’. The herded Ginger Rogers of The Gay Divorcee might eventually succumb to Fred’s Astaire’s dancing skills, but the contest was equal. Not so, when your partner is a technological interface, remote controlled. Humans tire, the technology keeps on. Chamayou is horrified by drone warfare, by attacks directed from a computer screen on the other side of the globe. His key point is that such ‘hunts’ lack the humanity of the ‘face-to-face’ in human-to-human combat. Drone warfare is no longer a Star Wars fantasy but a current political reality. Chamayou is outspoken in his criticisms of Obama. While a policy shy of increasing American casualties might be good for America, this should not be at the expense of ethics through Obama’s expansion of the hunting missions of drones in Iraq. Chamayou doesn’t shirk from calling out the ‘inhuman operation [of] a mobile battlefield that potentially spans the globe’, of the potential for drones to target anyone, anywhere, from any satellite mapped point of the world. Furthermore, drones have a capacity for actions at a distance, the like of which the world hasn’t seen before: the ability to group, hover, pursue. If computer were touted in the 1990s as multipurpose machines incorporating calculators, typewriters, cameras, CD players, graphic interfaces, radio, and so on, drones combine a camera with several movement modes: the up and down of helicopters, with the horizontal lines of flight of arrows, missiles and aeroplanes. The gendered aspect of the performance, with an unarmed female quarry, draws further allusions to inadvertent attacks on civilians in combat zones. The audience is equally positioned to stand in for citizenry lost to ‘collateral damage’ (to recall a term introduced to the media airwaves in Gulf War 1). Indeed, while there might be certain novelty to the live drone appearance, its inclusion is nonetheless mildly unsettling. No longer contained in the screen, as image, the live drone has permeated physical, cohabited space. Like the drone swarms of Neal Stephenson’s futuristic science fiction novel, The Diamond Age (1995), their movement range is not only alarming in speed and mode (hovering, pursuing) but also alarmingly domestic (able to swarm at not much bigger than insect scale). Of course, a contemporary art audience trained in performance attendance would lightly brush off any fears; however that split second frisson of calculation of relative danger is enough to seed the idea of threat. The dance performance already inhabits the deadly range of the drone, highlighting its capacity for an intimate harrying. In some respects its performance is cartoonesque, recalling the works of early Hollywood animators who were fond of depicting insect swarms in the shape of arrows or hammers in chase of a hapless Daffy Duck or Yosemite Sam. The cartoonists liked to depict their harrying swarms condensed into a hovering mass of energy before release, highlighting the tension between potential energy and a line of flight. In the 1920s, animated cartoons and their swarms were the epitome of imagined impossible movement; now that movement can be mimicked by drones. If a certain trajectory of movement studies began with Delacroix in his studies of the motions of horses’ rumps (1887), and Muybridge in stop motion photography of animal locomotion (1887-8), animated cartoons and cinema were the next stage in artistic evolution. Philosophy has had to follow suite, and not necessarily philosophies of science. Movement regimes are very much part of the humanities and the human experience, especially in the twentieth century turn to materialist philosophy. 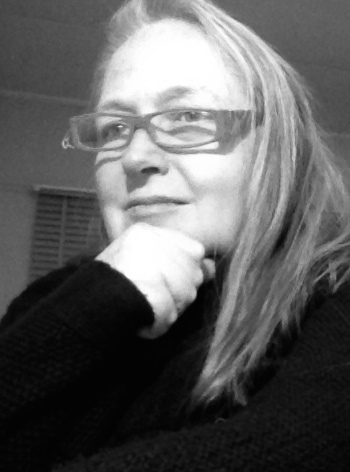 If Chamayou’s contribution to movement theory in A Theory of the Drone puts emphasis on the ethical shifts and dilemmas produced by new regimes of movement, earlier theorists like Deleuze and Guattari philosophically framed a world view of intermeshing regimes of bodies and movements in respect of affects. In their view a materialist philosophy was one through which bodies interacted through ratios of speed and produced affects. Famously a draft horse is more akin to an ox than a race-horse, because of the draft horse’s relative great strength and slow speed. Likewise, a tick succeeds in dropping from leaf to the warm blooded body of its prey through a combination of waiting, gravity and the relative speed of its prospective host. 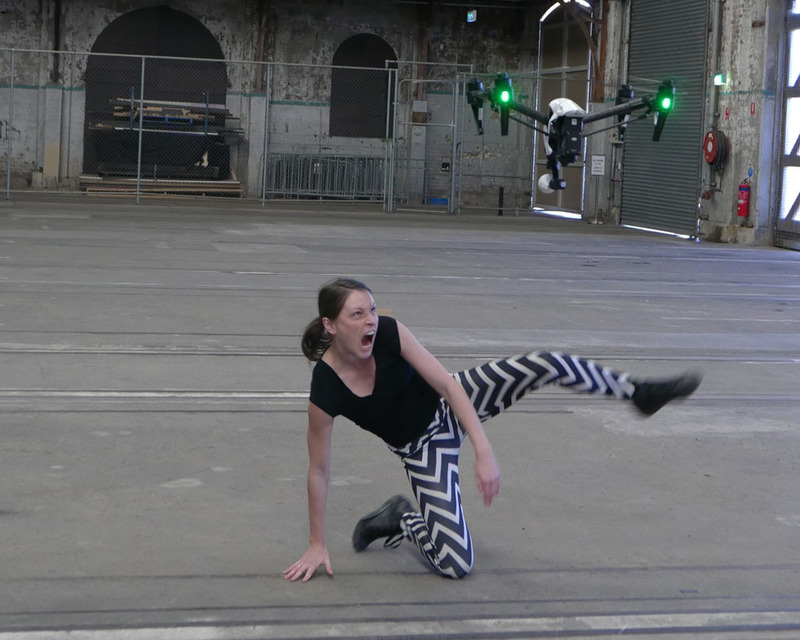 Dancing with Drones is no less an exercise of intermeshing speed and affect. The work also extends Virilio’s analysis of the collusion of cinema and the apparatus of war, in particular with respect to big optics, targeting and the enhanced development of moving image. Virilio was also attuned to the paradoxical tenderness of the cinematic apparatus: the slowed down film of an aircraft crash and the plane breaking up was as delicate as any caress. A like tenderness in the human-machine interface is very much an aspect of the Plevey and Cmielewski-Starrs collaboration. The machine itself is not necessarily lethal. The power of Virilio’s fantastical example—the apparent delicacy of the slowed down footage of an aircraft breaking up—lies in juxtaposition and its combination of graceful movement and proximate death (there would have been no survivors of such a crash). Dancing with Drones likewise draws on startling juxtapositions of movement for affect: combinations of grace, awe, tenderness, harrying. In so doing, they also remind of another history of cinematic movement, Vertov’s kino-eye. With no reference to Hollywood and its Golden Era dance offs, particularly the tap-dances that peaked in the 1930s with the coming of sound, Vertov directly engaged in varying ratios of movement within the cinematic experience itself. Eschewing all forms of conventional character and narratives (principal actors), his core actant was the camera itself exploring where no human eye could feasibly go: the camera placed to capture the undercarriage of a speeding train; ‘seeing into’ speeds that would be too fast for the human eye in rapidly spinning factory bobbins; slowed down footage of athletes high-jumping at the seemingly infinite slowness of speeds of grace in Man With A Movie Camera, 1929 (Virilio cites his insights into ratios of speed from this film, as does Deleuze in Cinema 1). This camera-eye is further extended in drone cinematography, with Starrs and Cmielewski experimenting with a range of models, from the hobby store drone equipped with a lightweight Go-Pro digital camera, to more expensive models used in geological surveys. As digital artists with installations ranging from hacked computer game interfaces (Bio-Tek Kitchen) to cinematic data-mapping experiences incorporating the satellite fly-overs of Google earth (Seeker), interfaces of movement and optics have been integral to their politically-engaged practice. Recent works of planetary scale include crisis texts forming up in the landforms of dry riverbeds, deforested mountains and submerging coastlines in a series of Google flyovers scanned from the height of passing satellites in terrains as diverse as the Maldives, Australia and New Zealand. Karen J. Greenberg, ”Two books explore the high cost of killing by drone.” The Washington Post. https://www.washingtonpost.com/opinions/the-moral-and-physical-destruction-wrought-by-drone-warfare/2015/03/20/ba580eb4-bb88-11e4-bdfa-b8e8f594e6ee_story.html Publication date March 20, 2015, accessed 23 August, 2015 . See also: Gregoire Chamayou, A Theory of the Drone, New York: The New Press, 2015.